Kashmiri pulao is a famous pulao in restaurants.I tried to recreate the same pulao at home.This pulao is rich in dry fruits and nuts.It is a delicate,mildly spiced pulao with a hint of sweetness(chopped fruits) and vegetables.Kashmiri Pulao is a one pot meal,can be served just like that or with a simple raitha as side.Saffron adds the color and flavor to the rice but my version is without it.This pulao is very colorful and appealing.All liked it very much esp kids.Try this out & enjoy!! Soak the saffron in milk and leave aside(I haven't used it).Wash and soak the basmati rice for 20 mins,drain water & keep to cook rice(has all nutrients,don't throw away).Keep aside the rice. In the remaining ghee mixed oil,add the ginger garlic paste,green chillies.Saute until the raw smell disappears.Add the whole spices(listed above) and fry lightly.Next,add the drained soaked rice and thawed peas.Fry lightly by gentle stirring.Add a pinch of turmeric powder. Add the saffron mixed with milk mix and 4 cups of water.Add salt as required. Cook covered on medium flame until done(about 10 mins).Gently fluff with a fork to see if done and the moisture is completely absorbed. Switch off flame and add chopped pineapple,pomegranate seeds and any other fruits if using. Finish by adding the fried onions,fried nuts and dry fruits & is ready to serve. * I love the flavor of fried onions and so have added.But the authentic recipe doesn't call for fried onions. * You can even add half a tsp of chilli powder instead of green chillies.But it may alter the color lightly. * If you wish to have a white colored rice with fruits and nuts,then omit adding turmeric powder and saffron.I just added turmeric powder as saffron wasn't available. * You can even add more vegetables like chopped beans and carrots. For all other pulao/biriyani recipes from Erivum Puliyum,click this link. Are you in the holiday mood?? Am also in the full mood for holidays as kids are at home for another week.Hope everyone had a blasting,joyful weekend and a memorable Christmas too.We too had a good Christmas,attended mass at Church.In the morning,we had paalappam and chicken stew with Kerala plum cake (fruit cake)and a glass of green grape wine.Lunch was tasty with chicken and beef delicacies.Last year,we were at home in India for Christmas and this year we are miles away.Anyways,lets quickly get back to today's post-Butterscotch Banana Bread.This bread is so soft and moist inside and has a crunchy cover outside that you would love.This bread has no strong flavors of banana(my kids don't favor the banana smell much and I was happy they liked this bread very much).The butterscotch chips really melts and is oozy kind once immediately out of oven.These chips adds the butter and sweetness to the bread.This can be a quick breakfast bread or serve as a after school snack for kids.I have used a combination of wheat flour & maida in the recipe but you can always use all purpose flour or maida alone for a lighter texture.Do give it a try !! Pre heat oven to 325 degrees F and prepare a bread pan(9*5*3) lined with parchment paper at the bottom and butter the sides.Peel and mash the bananas using a fork. Cream the butter and brown sugar in a bowl.Add the egg,whisk well.Add the vanilla extract. In another bowl,sift the wheat flour,maida ,baking soda,baking powder and salt twice to incorporate the leavening agents well. 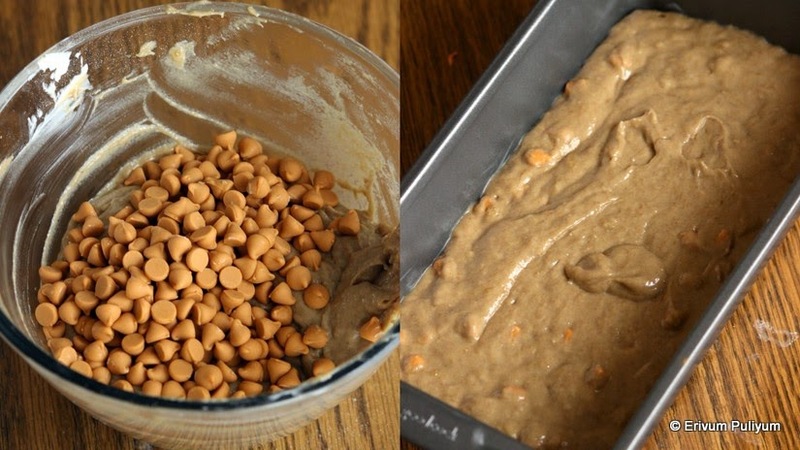 Add the flour in the wet ingredient mixture in two batches.Mix until combined.Add in the butterscotch chips. Pour in the prepared pan and level the top.Bake in preheated oven for 65-75 minutes(mine got done in 70 minutes). Cool on wire rack for 10-15 minutes before removing from pan. * If you use maida alone,it gives a lighter color.Using this combo,didn't alter the texture much and we loved it. For more bread recipes,check out this link here. Pineapple- Sago Pudding | Light Dessert & Merry Christmas !! One of my favorite song that I keep humming a lot these days and suits perfectly to the Christmas mood.Carols are great time to sing along and to keep the spirits high in the festive season.Hope all are busy with their last minute shopping's,wrapping gifts and cooking many delicacies.We are also excited to celebrate Christmas with family and friends.Today's post is a simple yet delicious dessert that can fit into your menu for Christmas too.This is a very light pudding that can be served after the heavy feast.Kids loved the cooked pearls and pineapple cooked in coconut milk.This pudding requires no much time if you have chopped pineapples ready.I have slightly modified the recipe from the original recipe.And am sure all will love it,do give it a try!! Wash the sago and keep aside.Heat a cooker or any thick bottomed pan.Add the butter,wait to coat the bottom.Add the sago and add 2 cups water.Let it cook on low medium flame.Don't increase the flame as sago sticks to the bottom of the cooker and keep stirring in between to avoid sticking.It may take 15-20 minutes to get 3/4 cooked.There are two ways of doing this,either switch off flame and add cold water to the sago.Drain the sago in a colander and helps remove excess starch.Second way is to leave the cooked sago just like that and proceed further.I haven't drained the sago pearls. Add the drained sago to the cooker again or to the cooked sago(without draining) add the coconut milk,sugar(3tbsp or more as per sweet tooth).Cook until its fully cooked(another 10 minutes)and the pudding gets thicker. Add cardamom powder,switch off flame.It tends to thicken on cooling. In the mean time,place another non stick pan on medium heat.Add the pineapple slices and sugar(2tbsp).Keep stirring until the sugar starts to caramelize and coats the pineapple lightly to give a light brown shade.Switch off flame and add the cooked pineapple to the cooked sago mix. Give a quick stir and leave covered for 5-7 mins for pineapple flavors to seep in. Serve in pudding cups with a cherry or toasted coconut on top. * I used fresh pineapples,you can use canned slices too.I added 3/4 cup chopped pineapple but you can always add 1/2 cup too. *Adding cardamom powder is optional.You can add pineapple extract too. *If you make it slightly watery,then can be served as payasam too. *Remove 1/ cup of cooked sago mixture,add a beaten egg.Whisk well and add to the cooker along with whole of cooked sago.This adds taste and thickness to the pudding.I haven't done that. For more dessert recipes,click here. Wishing all my readers and all friends a very Merry Christmas,Hope you all have a great one !!!! Chembu mezhukuparetti (Taro root stir fry) is a dry side dish that can be served with steamed rice.This is a very simple recipe that can be made in a jiffy and tastes delicious.I have already posted the recipe of chembu astram(arbi curry) that pairs with kanji(rice gruel).These are the two dishes with taro root which I love the most.Give this a try if you use taro root and hope you like it !! Place water in a pan and add the slices,add turmeric powder,chilly powder(1/2 tsp).Cook until just tender(about 6 mins once water is boiled) and add salt.Drain water and then keep aside. Heat oil in a pan and add shallots and garlic cloves.Add in the curry leaves,saute and then add remaining chilly powder and garam masala. Add the cooked chembu(arbi),give a quick stir on medium high flame.Keep stirring occasionally until all pieces are browned well.Sprinkle a gash of salt and switch off flame. Serve warm with rice !!! 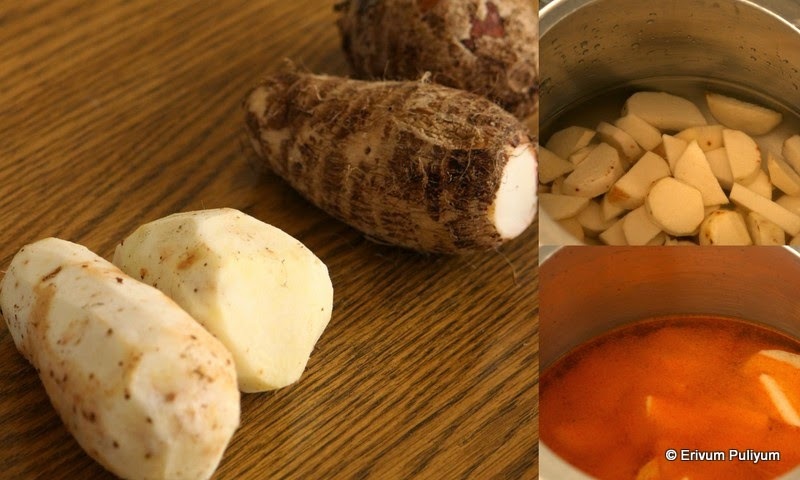 * Don't wait to cook till the taro root becomes mushy,it should be just tender.Else it may not hold shape and will use more oil to dry up. * Coconut oil tastes best but you can use any other oil too. * You can increase chilly powder as per tolerance. Cakes,bakes & celebrations everywhere,the perfect time of the year that I love the most.In another six days,Christmas is here.Kids are all excited to unwrap their gifts from Santa.How about trying another cake at home especially for all chocolate lovers.My elder son loves chocolate cakes unlike the younger one.Though both of them like it but big bro loves it more.Chocolate Chiffon Cake was suggested as an alternate cake to Joan's Rainbow Cake for this month's Baking Partners Challenge.This chocolate cake is very soft,airy and moist.The cake has a tender crumb and remains soft even after refrigeration.I loved baking this cake very much and was very much satisfied with the results.Chiffon cakes was invented by a Californian named Henry Baker in 1920s who sold his recipe later in 1940s to General Mills.The batter is baked in a tube pan ideally so that it clings to the sides as it bakes and the tube in the center helps the hot air to circulate and reach the center of the cake.But I tried this cake with a 8" round cake pan and I was pretty much satisfied with the results.Chiffon cakes are made with eggs and there is no substitution to this as the meringue adds to the light texture of the cake.If you have a chocolate lover at home for Christmas,Do give this a try and am sure they will love it !!! Separate the egg yolk and egg whites in two bowls when cold.Leave at room temperature for 30 minutes. Preheat oven to 325 degrees F and line a round 9" cake pan(I used wilton's 8" cake pan as I halved the recipe and the batter when baked reached just the top rim,so to be on the safer side use a 9" cake pan or double the recipe/ingredients and use a 10" bundt pan/tube pan) with parchment paper at the bottom and lightly butter the sides.Ideally a tube pan should be used as the cake needs to be inverted soon after bake when hot as the cake tends to shrink and lose its volume when cooled but a round pan also worked fine. 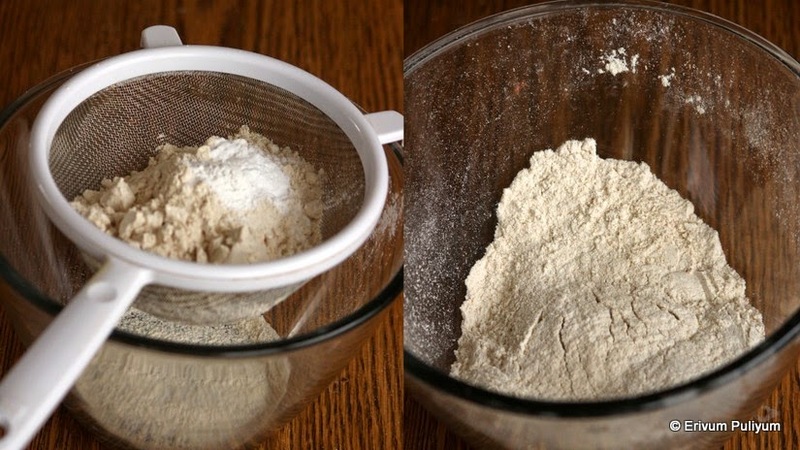 Sift the cake flour in a bowl and then measure 1 cup.If making cake flour by substituting then add 2 tbsp of corn flour in a cup and then add the rest all purpose flour to fill one cup. 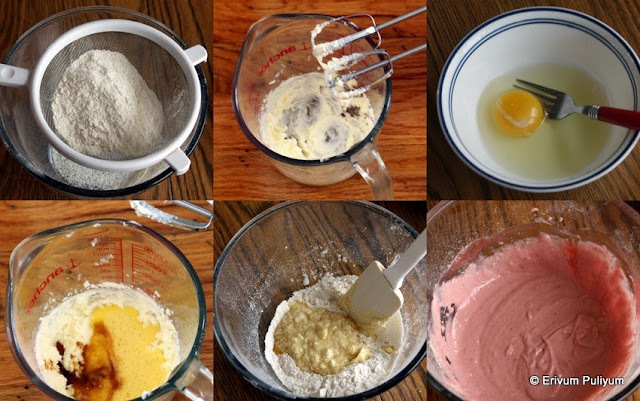 Sift together cake flour,cocoa,baking powder,baking soda,granulated white sugar and salt twice in a bowl. Beat the egg yolk in a bowl using a hand whisk.Add in the oil,vanilla extract.Mix well.Pour the brewed coffee and stir well. Add this mixture to the sifted flour mix and gently stir using a wire whisk to combine well.I needed 1tbsp of water too to get the right consistency and that's the reason I have mentioned brewed coffee as 3tbsp+ 1tbsp.As per original recipe it should be 3tbsp but I added a tbsp extra.So add according to the consistency of the batter so that its well combined,don't get it watery as when we add the meringue the consistency will thin out and be correct. In the mean time,beat the egg whites in a grease free oil free bowl using a electric hand whisker or stand mixer.Add in cream of tartar( if using,I haven't).Beat until soft peaks form or when you see streaks with your whisker.Gradually add in the granulated white sugar and beat until almost stiff peaks form. 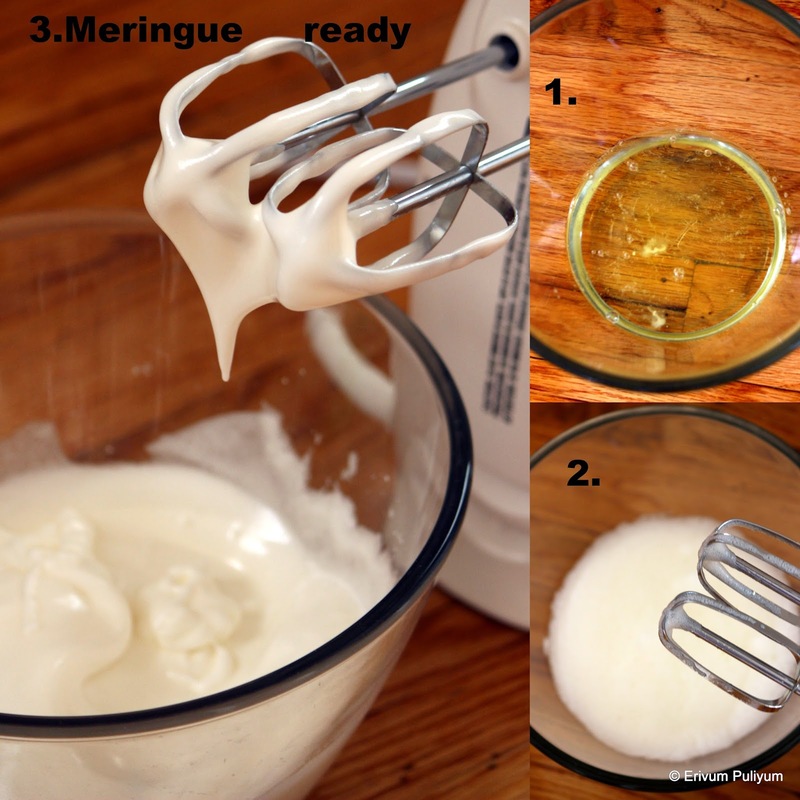 Fold in this meringue in the combined batter using a wire whisk or spatula until just blended(don't over mix to deflate the batter). Pour the batter in the prepared pan and run a knife through the batter to get rid of air bubbles.I gently tapped the tray on the table 2-3 times to get rid of the air bubbles.Place in oven and bake for 40- 45 minutes or until when the skewer inserted in the center comes out clean. Immediately after removing cake from oven,run a knife through the sides and invert the cake on a buttered wire rack.Remove the parchment paper and leave to cool completely before frosting the cake or serving.The cake tastes good without any frosting too,I just did a chocolate glaze to cover the cake as the sides and top may not look even because of the soft airy texture. To prepare the chocolate glaze- Melt the butter,corn syrup(I used sugar syrup) and chocolate using the double boiling method.Place the pan with ingredients over simmering water and mix until its melted.Add in the brewed coffee and mix well. Place the cake with wire rack on a tray and pour the glaze over the cooled cake letting it flow down the sides.Refrigerate overnight and serve or wait till the glaze is adhered to the cake and then serve. Servings~ 1 round cake 8"
* The original recipe makes a 10" tube cake.If you wish to do that then simply double the ingredients and make that cake.You needn't butter or line the tray with parchment paper in that case. * I haven't used cream of tartar in the recipe,works fine without that too. * You can just dust the top with confectioners sugar and serve or you can cut the cake in half and fill the center with filling too. 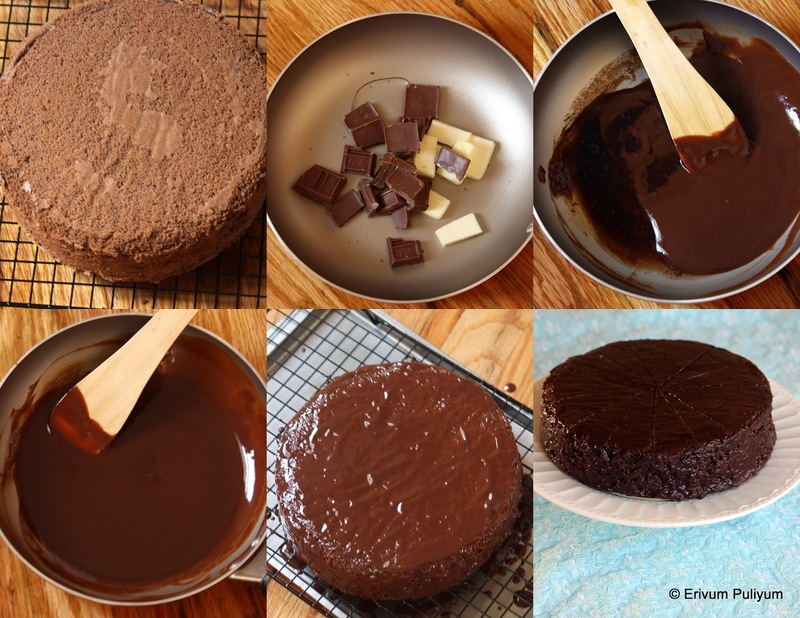 * You can make more glaze as the original recipe to give a thicker coat.I made a very light coat cake just to cover the cake and avoided the extra chocolate and butter. For all Christmas related recipes,click here. Chicken Kebab | Quick Appetizer & Saturday Snapshots !! Hope most of you are busy with baking plum cakes and brewing wines for the last minute preparations for Christmas.Are you looking for some quick appetizer to add to the Christmas feast,then here is one that will rightly fit into the short time.Chicken Kebab is made in a lot of ways with slight variations here and there.This is one of the simplest recipe that you can make as a quick starter.This can be added to your Christmas menu and am sure all would love these.These are very soft juicy kebabs with the richness of chicken and cashews.I have made these so many times now and all have liked it.Do try & enjoy !! A little late to post last week's Saturday Snapshots.The theme this week was to shoot whole tomatoes on a dark background.How's mine,Frenz ?? Add half of one egg and mix well.Add bread crumbs as required to get the correct consistency to shape them. Heat oil in a pan (upto 2" deep) and using your fingers scoop out little of the mix,shape in cylinder shapes and drop in the hot oil. Turn and fry all sides evenly until it gets browned like cutlets.Drain on paper towels and serve hot with ketchup or just like that !!! * Use boneless chicken thighs with a little fat for more flavors else it may shrink when cooked. * Add bread crumbs as required to get the batter right. * You can make the minced part and freeze.Thaw before frying.I tried this but chicken leaves out slight amount of water,so becomes slightly watery than the fresh prepared mince. 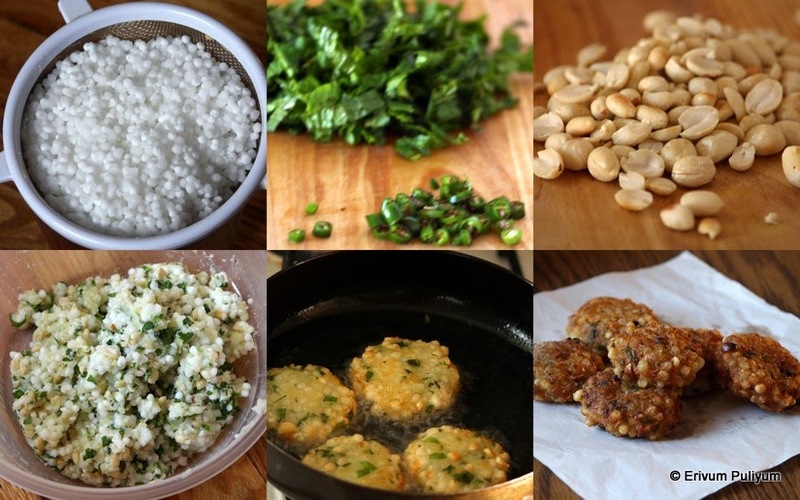 For more appetizer recipes from my space,click here. Do you guys remember the Joan's Rainbow cake from the malayalam movie 'Salt and Pepper'? ?All my mallu frenz would have definitely watched it.The movie casts Lal & Shweta Menon in the lead roles.To my friends who haven't watched this movie,highlighting the brief contents of the movie.In this the actress calls the actor by mistake and orders for 'dosa and chutney' and very soon they are held together by the common love for food and romance is in air.Lal(actor) gives the recipe of Joan's rainbow cake and soon they both try it at different homes,yet together.The story behind the cake as narrated in the movie is very interesting but to my knowledge its just a tale and nothing much in real.The story is about Juan,a french lady who awaits the return of her love from second world war,fighting far away from home.On the first day,she bakes a delicious starwberry cake for him.On the second day,she bakes a pista cake and waits again.On the third day of wait,she bakes an orange cake.He still didnot turn up.She went to bed disappointed and the next morning she finds her love arrived with a gift of good chocolates for her.She finally combines the cake with cream and poured melted chocolate over it.She served this to her loved one and they ate it in remembrance of his return and their everlasting love. Juan baked the cake for her love and I baked the cake for my loved ones.The cake was suggested by me to the baking partners and Swathi consented to the cake.The cake has all real fruit and nut flavors and is very delicious.Few members who tried hadn't achieved the desired results and turned out dense,so being on the safer side,use cake flour to bake the cake if you plan to bake.The cake is of a slightly dense nature because of the fruit pulp but soft.It is more of a wheat flour cake texture especially the strawberry layer.This cake can be served as a dessert.I baked only half the quantity as listed to bake the cake(as in pic) as only kids are fond of cream cakes and I was afraid to waste the rest of the cake.Enjoy !! Preheat oven to 350 degrees F,butter your cake pan 8" or line with a parchment paper.Keep aside. Sift the flour and baking powder twice or thrice,keep aside. Wash and hull strawberries,chop the strawberries.Combine the chopped strawberries,sugar(2 tbsp) and water in a small sauce pan.Cook till softened,cool the mixture and puree to a paste. Using a hand blender,beat the butter and sugar until creamy.Add the egg and mix well. Add the flour mixture little by little along with strawberries puree,mix until combined.Pour this in the prepared pan and spread evenly. Bake for 35-40 minutes or until tooth pick inserted comes out clean. Cool on wire rack and cool completely. Preheat oven to 350 degrees F,butter your cake pan or line with a parchment paper.Keep aside. 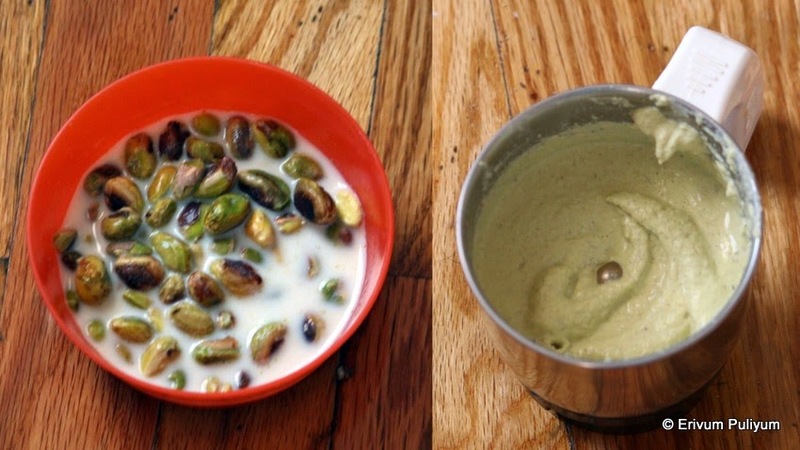 Soak the pistcahios in milk for two hours and then using a blender,puree to a smooth paste. Add the flour mixture little by little along with pistachio puree,mix until combined.Pour this in the prepared pan and spread evenly. Sift the flour and baking powder twice or thrice,keep aside.Add the grated orange rind. Cut the oranges in half and quarters and then add to the blender,squeeze the juice using a blender.Strain the juice completely. 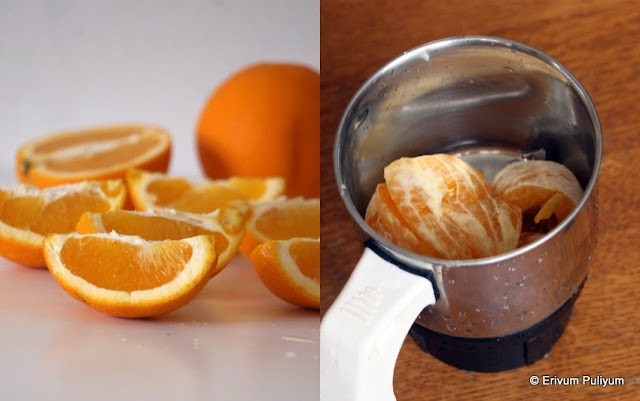 Using a hand blender,beat the butter and sugar until creamy.Add the egg,orange extract(if using) and mix well. 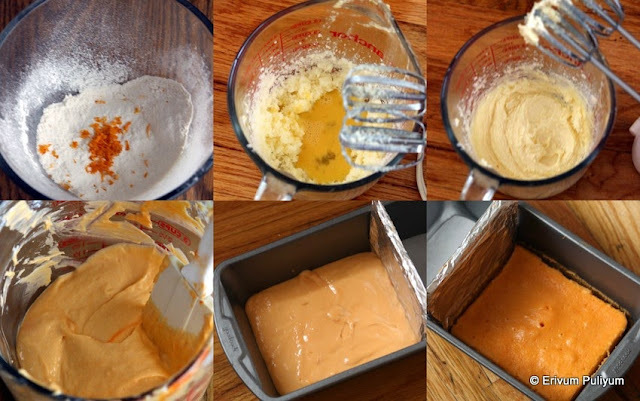 Add the flour mixture little by little along with orange juice,food color,mix until combined.Pour this in the prepared pan and spread evenly. for whipped cream frosting-Beat the cream in a grease free bowl with a hand mixer by adding little by little icing sugar.Add to combine until stiff peaks form(takes about 4-5 mins).Refrigerate until use. 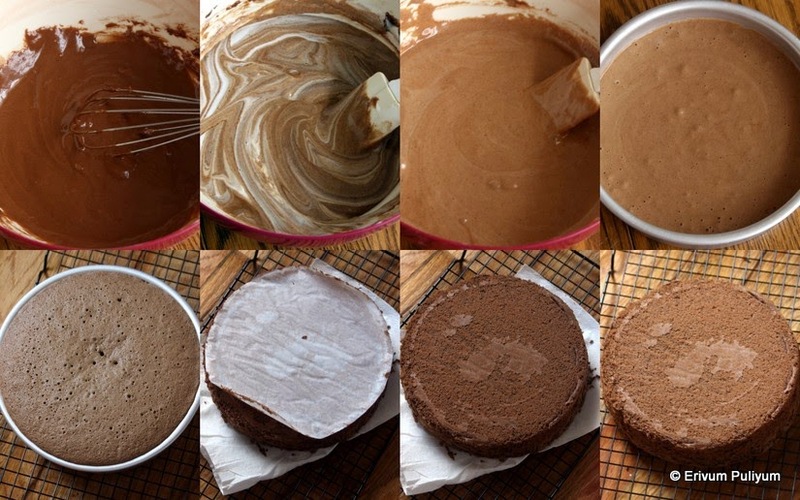 Trim the cakes to the same size so that it looks of equal size. Add a dollop of whipped cream on the cake base,place the strawberry cake.Then,add another dollop of whipped cream,place pista cake.Then,place the orange cake. Add the whipped cream crumb frosting and spread evenly.Refrigerate for 1 hour to set. After one hour,add more whipped cream and spread evenly.Decorate with free designs as per your choice.Refrigerate another 2 hours,add chocolate shavings and fresh sliced strawberries. Serve sliced or refrigerate & enjoy !! 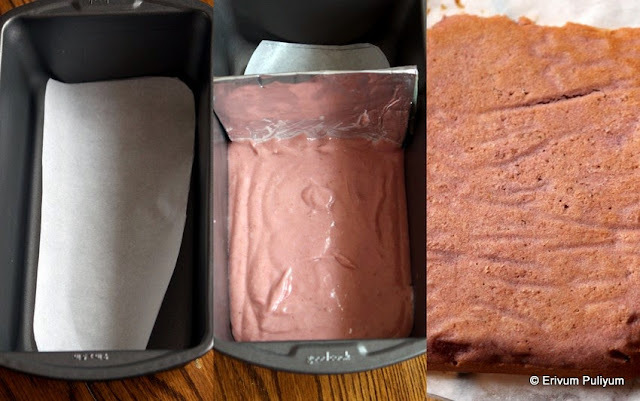 * Use cake flour to bake the cake esp the strawberry layer.This was my first trial and whenever I bake next I would definitely do that.If yo wish to substitute cake flour,then use fill a cup with 2tbsp of corn starch and rest with all purpose flour.Sift well and your cake flour is ready. 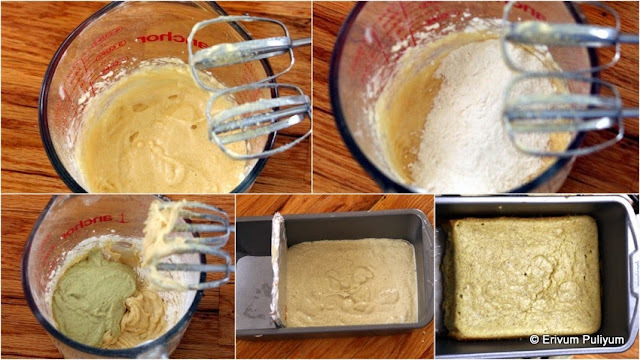 * Also,keep in mind to add milk,orange juice and strawberry puree gradually and don't add all together(as per the consistency of the cake batter).Don't make the batter too thin nor get it very thick,the ribbon consistency is good. * You can use 1/4cup cream and good quality chocolate to make a chocolate topping instead of chocolate shavings.Heat the cream in a microwave and add the chocolate pieces.Stir until chocolate is melted and forms a smooth paste.Pour this over the whipped cream frosted cake as topping. * I haven't used red and green food color.It is the natural color.I have used orange food color for the orange cake.I haven't used pistachio essence instead used vanilla extract and omitted the orange extract as well as the fresh orange flavors are strong.Also,I have used strawberry syrup instead of strawberry extract. * I made a very small cake using half of all the ingredients listed so I have used 9* 5*3 pan separated with a parchment paper.You can use the same ingredients and bake in the same pan or use 8" round pan.